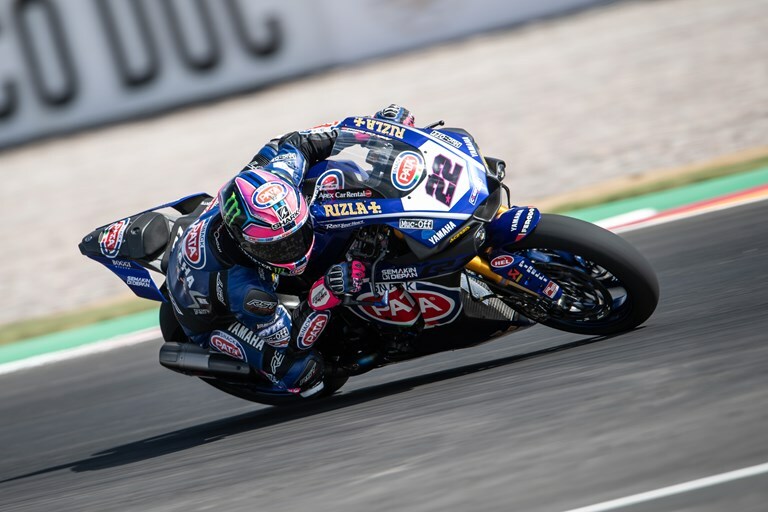 The first ever FIM World Superbike race in Argentina proved a challenging one for the Pata Yamaha Official WorldSBK Team’s Alex Lowes and Michael van der Mark today. Lowes was disappointed with seventh place at the chequered flag, having been heavily involved in the battle for the podium during the early stages of the race. Van der Mark managed to fight his way up to eighth place, having started from the fourth row of the grid, crossing the finish line just behind his teammate. It was a particularly disappointing result for Lowes, who’d shown both speed and consistency in every session at Circuito San Juan Villicum and started the race from sixth position on the grid, after a solid performance in the earlier Superpole 2 qualifying session. The Pata Yamaha rider got a good start from the second row, moving up to fourth after an aggressive opening lap but as the race progressed and the rear tyre performance dropped off, the 28-year-old Briton lost contact with the leading group. With the rear tyre spinning under acceleration and unable to match their drive out of the turns, the 28-year-old Briton was forced to let the podium contenders go and settle for seventh place and the points at the line. Van der Mark started today’s 21-lap race from 11th position on the grid, after a difficult qualifying path through both of the earlier Superpole sessions. Two small mistakes meant that the 25-year-old didn’t manage to make up as many places as expected in the early stages of the race but, once he had a clear track in front of him, van der Mark’s pace was similar to that of the frontrunners. It was a lonely second half of the race for the Dutchman, who eventually followed his Pata Yamaha teammate across the line to finish eighth and pick up vital championship points. Van der Mark remains third in the championship but has now reduced the deficit to second-placed Chaz Davies from 26 to just 18 points. Both Lowes and van der Mark are confident of a stronger showing tomorrow in Race 2, which they’ll both start from the second row of the grid.